Extended family homes are a specialty field of architecture that have been sorely neglected for a long time. While this kind of living arrangement has a strong history in Asia, it definitely fell out of favour in westernised countries for many years. This has changed however, as more families are coming to realise the social benefits of living in an extended household. 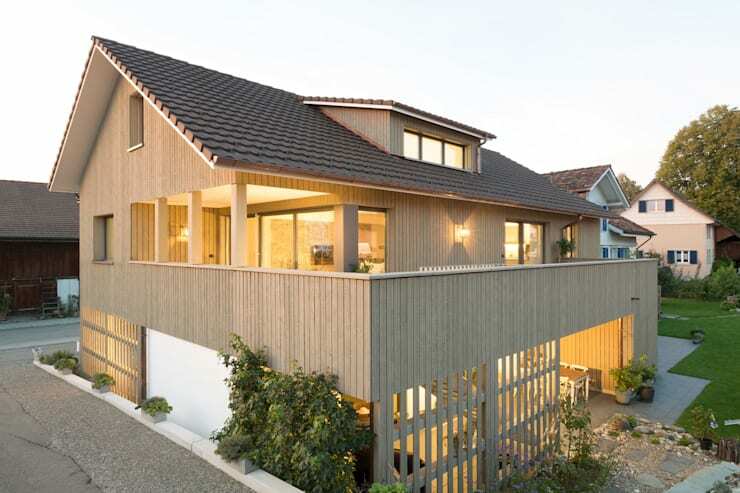 The exterior was designed to blend harmoniously with the neighbouring homes and appear as a single dwelling. The peaked roof, gables and wooden exterior give the home a very stable, classic look. 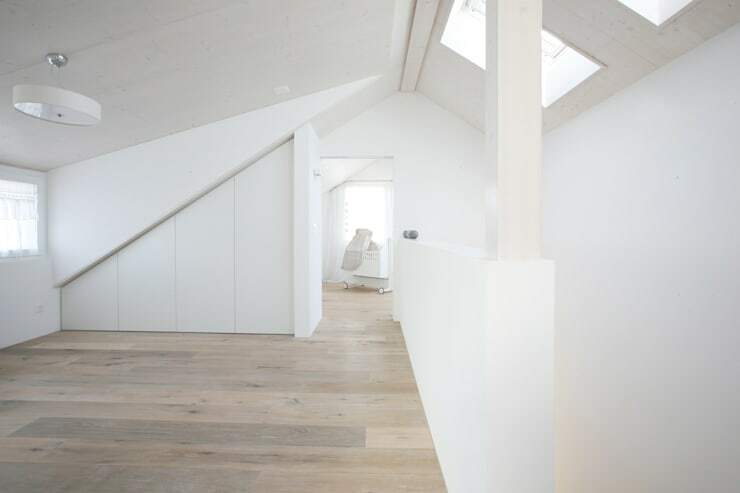 But it's also a contemporary home as evidenced by the uniformity of the wooden walls and minimalist treatments. On the lower level with the loosely spaced wooden walls we have the lower basement that we will explore later. It can be tricky to choose an interior decor that works across a single family home—let alone two. The contemporary rustic theme here is a good approach. 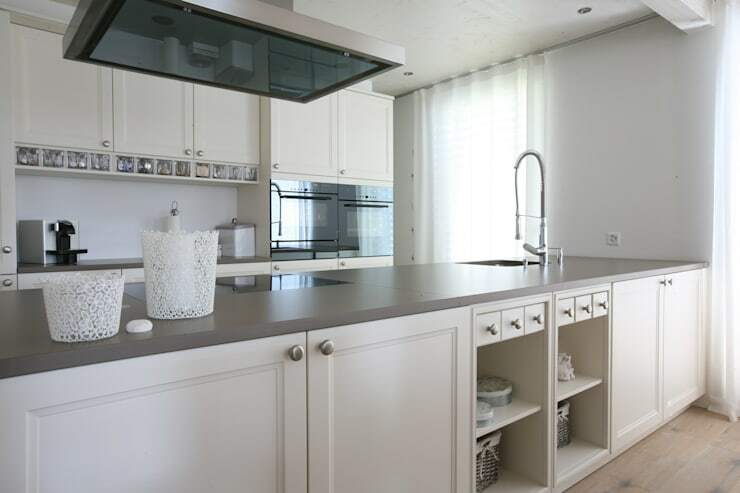 It provides a neutral base upon which the various family members can add their own accent colours and personality. 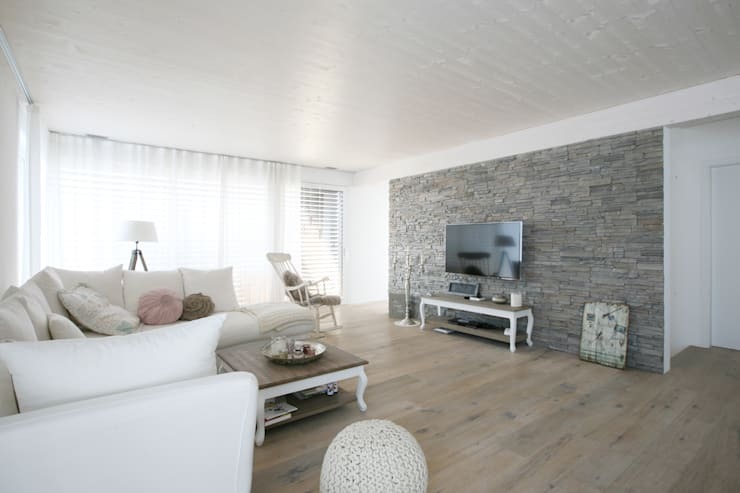 Wooden floors also give a sense of stability and history that is always good in a family home. Note the staircase to the right that connects this level to the various levels in the home. 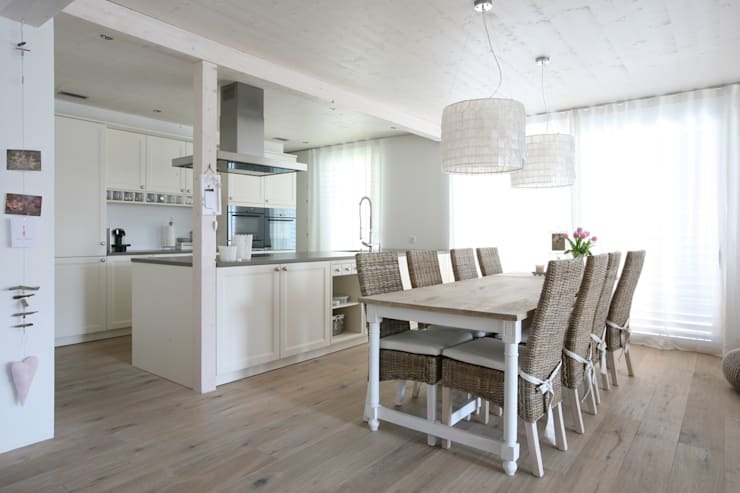 The transitional spaces in an extended family home receive a huge amount of foot traffic. This can be problematic as occupants will arrive at home different times of day and disturb others. In response, the architects organised all the passageways on one side of the home. It's essential to avoid making this space feel claustrophobic, so they have opened it up with double-volume height and lots of light. On the left we have the stairs leading to the lower level and on the right are the stairs to the upper level. 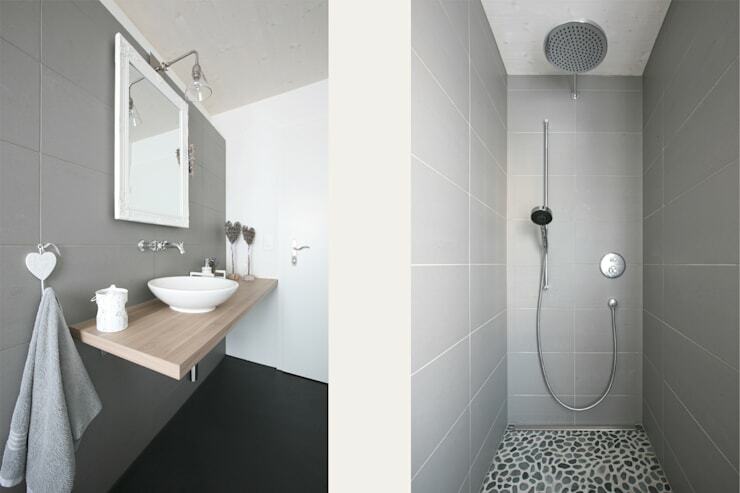 The lower level of the home is a separate residence with a rather small and narrow bathroom. Despite the limited size, there is still a sense of bright luxury. 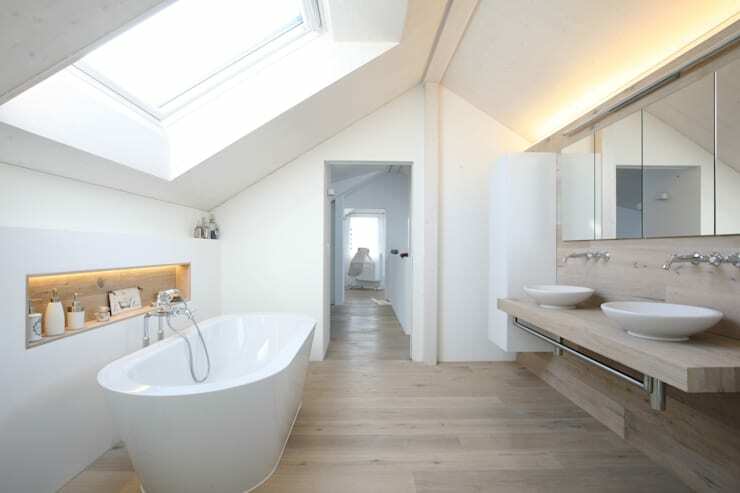 Much of this is due to the oversized window and petite white bathroom fixtures. 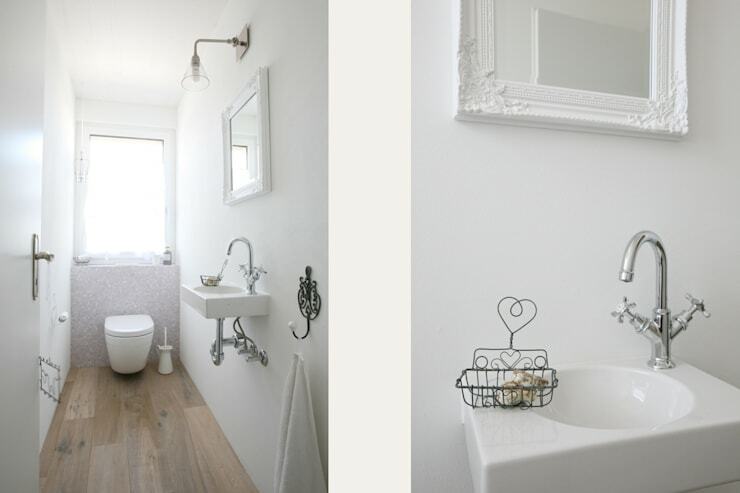 It's a beautifully neutral little bathroom and one that is deeply connected to the overall aesthetic of the home. On first glance the combined kitchen/dining room is quite modern. But there are loads of subtle rustic accents to ground the look in a more historical context. 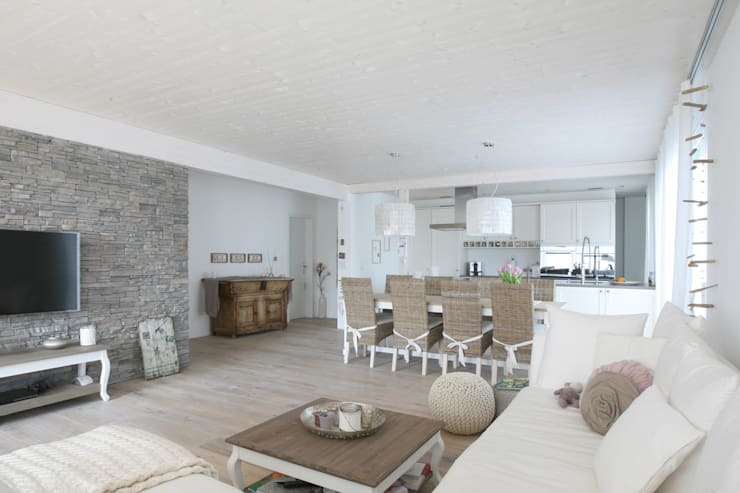 Wooden floors, a white wooden ceiling and wicker chairs give the area a lot of natural texture and warmth. Classic kitchen cupboard doors complete the look. Finally, see how the galley layout makes for a very sociable layout for big family gatherings. 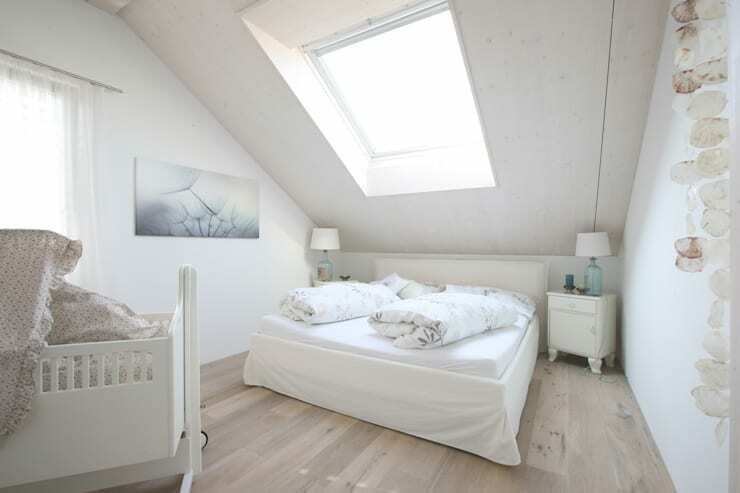 The upper level bedroom has a very classic European look. The angle formed by the peaked roof reduces the height of the ceiling on one side. But this isn't a problem with this kind of bedroom layout. Instead, it adds to the cosy, slightly old world charm of the home. Another way to extend the family home is to add a separate little residence. 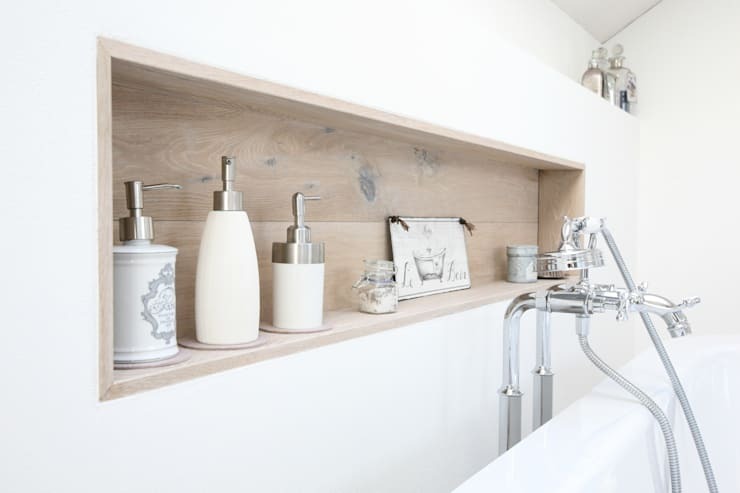 Check out The money saving miniature wooden home. 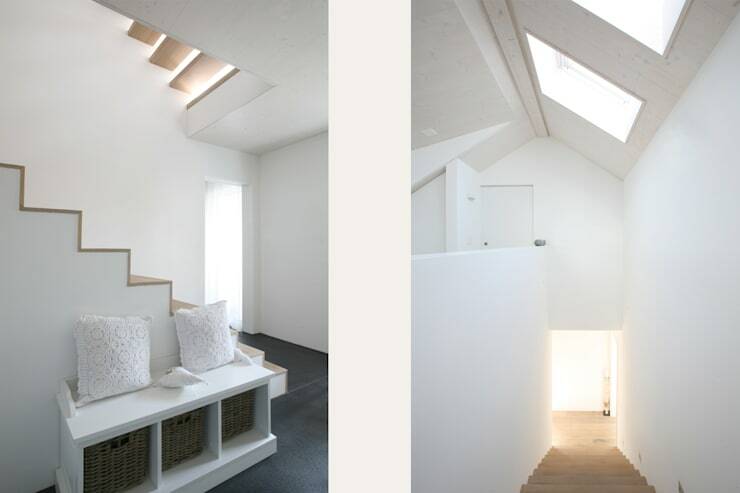 What do you think of the layout of this extended family home?